When you go biking, hiking, or make self-driving tour with friends, it may be a problem for the team to keep in touch with each other during the tour. Though all of you have cellphones, it is very likely that there is no signal on your tour and someone may be left behind and get lost. The interphone is nothing new. 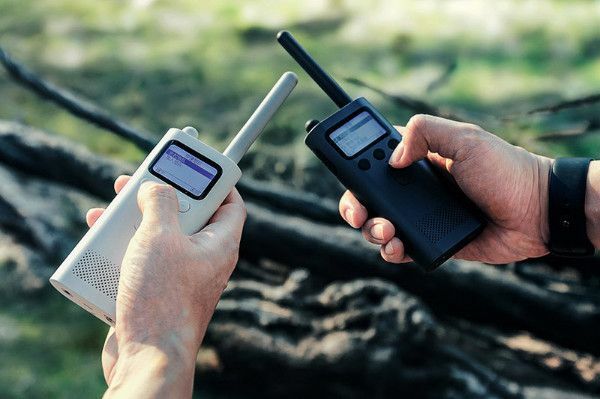 As there are so many kinds of two-way radio devices in shops, most people don’t know which one is appropriate. The ones for civil use are those with a transmit power of 0.5W-1W (1W not included), and with a frequency domain of 409MHz; those for professional use have a transmit power of 4-5W and a frequency domain of 136-174MHz or 400-480MHz; the transmit power of those for commercial use is 0.5-4W and the frequency domain is 400-480MHz; and there is another kind of walkie talkie for amateurs, which has two frequency domains: 144-148MHz and 430-440MHz. Common people usually choose interphone for civil use. 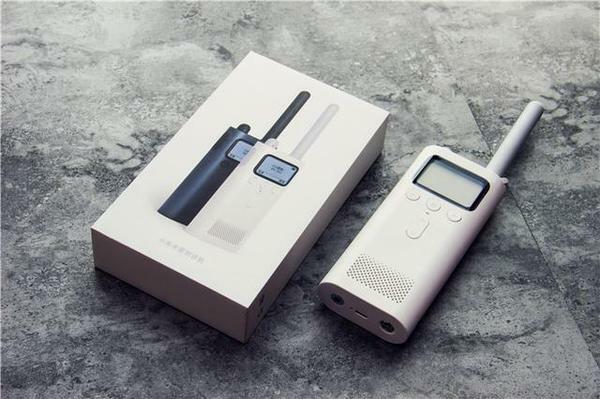 Those who are really interested in the device can buy the ones for amateur use (but a certificate and a license on radio station operation are needed). Of course interphone that can meet the demand of both common users and amateurs are rarely seen in the market. 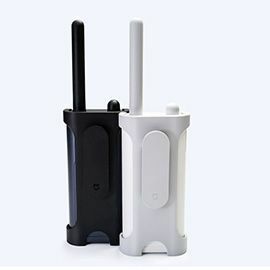 Xiaomi Interphone Smart Walkie Talkie just suits this purpose. 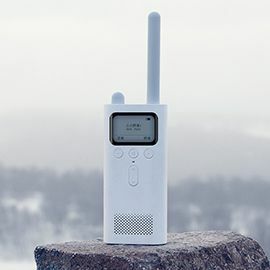 Xiaomi Smart Walkie Talkie has a simple and beautiful design. It offers white and black versions and supports both U and V frequency domains. 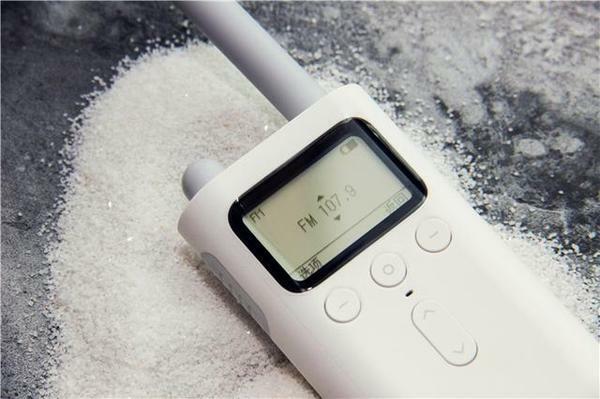 It is resistant of noise and interference signals because of the digital filtering technology. It also introduces a FM radio. Moreover, the smart device can be used for location sharing and forming a group immediately. Its battery of 2600mAh can be used for 8 days before charging. The set of channels, like that of a cellphone, will be made by clicking buttons or on an APP. 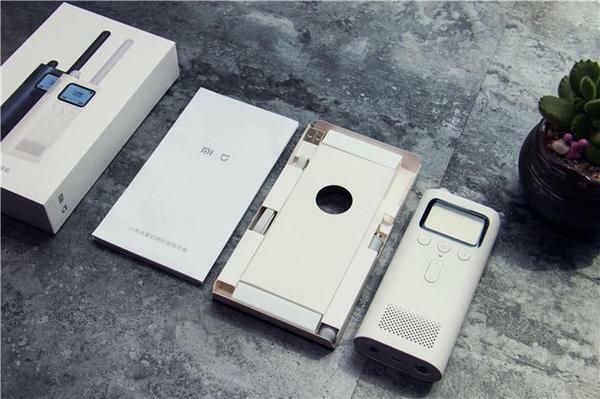 Xiaomi Smart Walkie Talkie is like a cellphone, no matter on the look or use. As a result, it is easy to use. 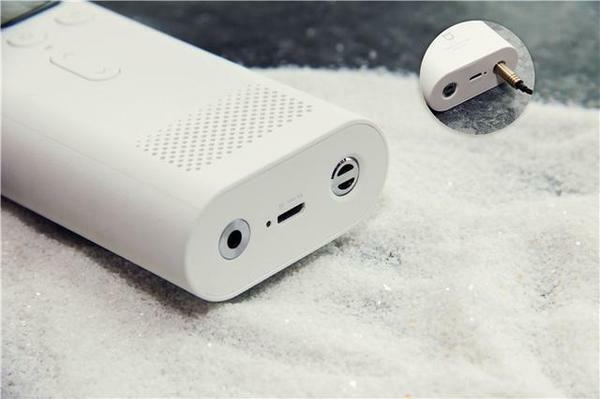 At the bottom of the device (from left to right) are 3.5mm headset jack, charge indicator, Micro-USB charging port and a hole for pendant. The headset jack is placed at the bottom probably because of the demand on simple design. I think that it will be more comfortable for most people if it were on the top. 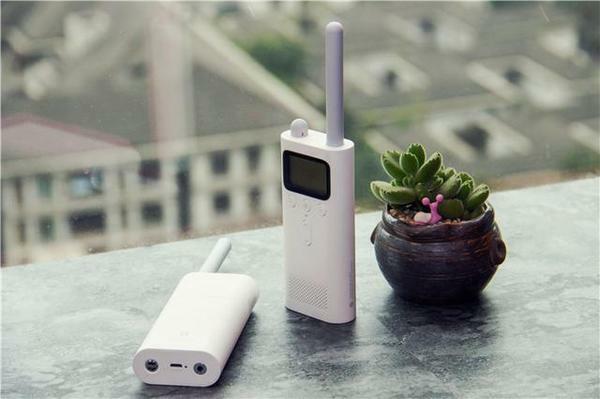 Xiaomi Interphone Smart Walkie Talkie has a novel look, a variety of functions and a reasonable price. It can assure good communication among a group of people when they make self-driving tour, go biking or go hiking.